Mexico’s Pacific Treasure with its Glamour Peninsula has undoubtedly become a preferred destination for celebrities. The Riviera Nayarit continues to attract international celebrities. 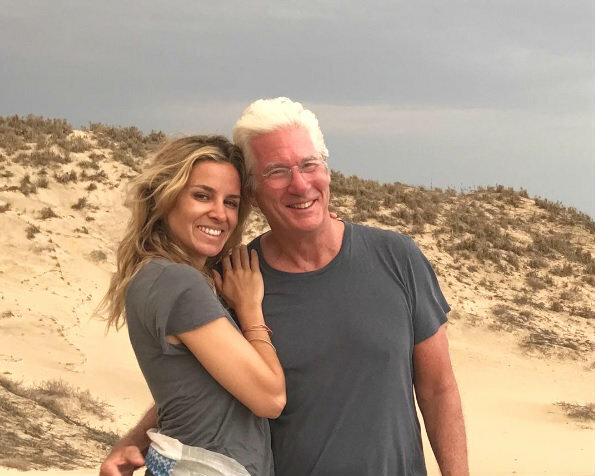 Last week it was renowned Hollywood actor, Richard Gere, who visited the destination along with his girlfriend, Spanish model and activist Alejandra Silva. She posted comments and photos about their stay on her social media accounts. The attractive couple, who have taken romantic trips throughout the world—especially along the coast of Galicia, Alejandra’s homeland—chose on this occasion to visit the beautiful beaches of Mexico’s Pacific Treasure from July 31 to August 5 to enjoy a few days off. Alejandra published a picture of her and Gere on her Instagram account with the comment “What incredible days in Mexico! Thank you!” and the tags #alejandrasilva #summertime #holidays #mexico #puntamita #richardgere. A few days later she published a few shots of herself on the beach, on horseback and enjoying the Punta Mita sunset. Both Gere and Silva are also known for their activism. The actor, who became one of Hollywood’s leading men after hits such as American Gigolo, An Officer and a Gentleman and Pretty Woman, was awarded the Continuarà de Cultura 2017 award in Barcelona earlier this year. Silva received the XII International Yo Dona Award for her work with the RAIS Fundación. 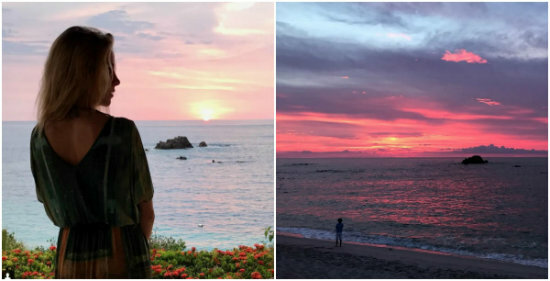 The hero of the film Rogue One: A Star Wars Story (2016) chose to spend his time off at the luxurious Four Seasons Punta Mita, where he stayed through Monday, August 7, when he said his goodbyes by posting another spectacular image of the coast of Nayarit with the comment: “The luckiest kid in the planet! #cielonayarita #méxico.” His two images generated over 70 thousand likes. Over the past few years the Riviera Nayarit has become one of the preferred vacation spots for celebrities including the Kardashian sisters, Lady Gaga, Hilary Duff, Jennifer Lawrence, Kirsten Dunst, Courteney Cox, Charlie Sheen, Sofía Vergara, Mario López and Kate Hudson, among others. The promotional work done by the Riviera Nayarit Convention and Visitors Bureau (CVB) is magnified by visits such as these from Richard Gere, Alejandra Silva and Diego Luna, all celebrities who are active on social media and receive ample media coverage, helping to position the destination as one of the best on the world stage.